Slider is optimized for use with WiFi. It may load slowly or stall on a cellular connection. Every Garden has a history. 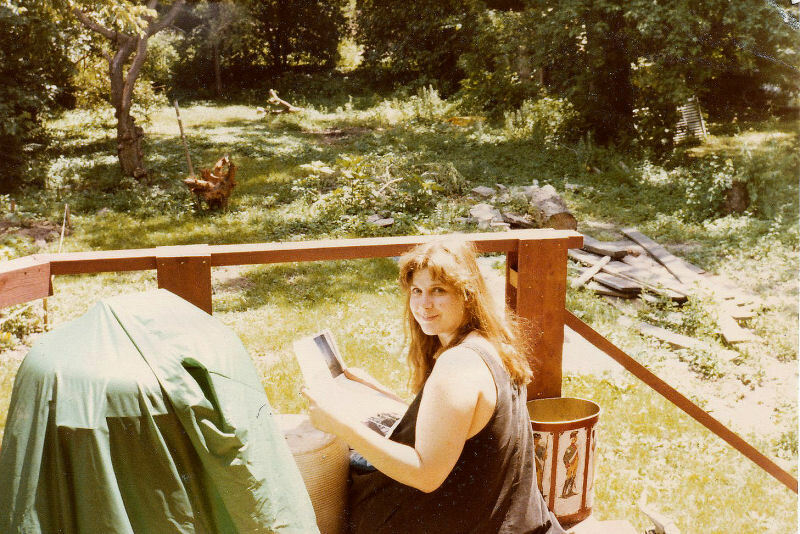 This picture is the backyard as it looked about 1978, two years after we bought the house and even before the garage was built. 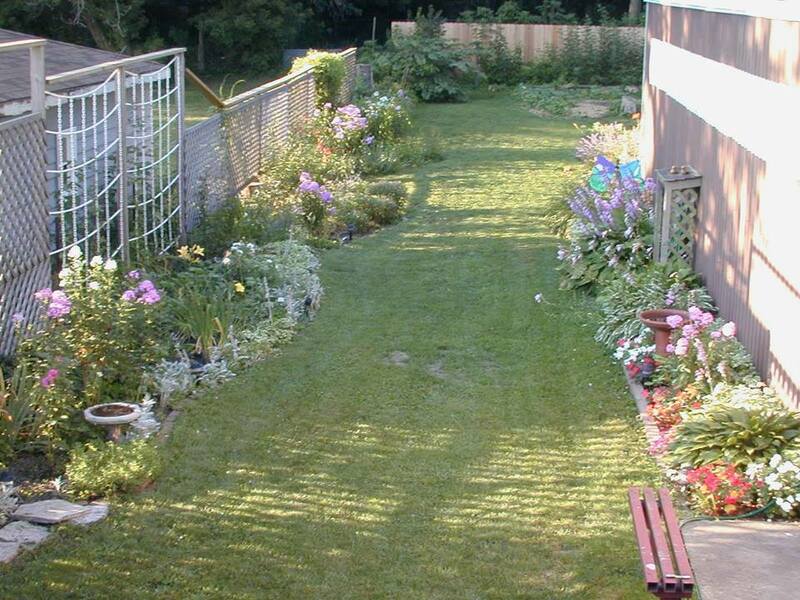 Cara began putting in a garden about 1997. It's gone through a lot of changes over the years and following Cara's death in 2011, I become the gardener. I'm especially happy with the Anam Cara Daylily that my friend and master gardener C.L.Fornari found for me. CL's Garden Lady Website. "Anam Cara" is a Gaelic or Celtic phrase that means "Soul Friend." Another helper was a woman in California who sent me the antique, and very hard to find, Cara Mia Rose as cuttings.